Hey! We're setting things up, but you can check our celebration stream here! We'll be answering questions, goofing around, explaining/showing the game, playing music and requests, and just having a party! Come join! Yes, like bucen said, I'm not part of the dev team (noticed how I was always saying "they"? ;) ), I'm just a backer like many other and answered your questions because they were mostly already asked before on the general comments section or elsewhere during the campaign, and because the NostalgiCO team was handling the final livestream and wouldn't have seen the comments before the final countdown. YOU ARE AWESOME! I am so glad you are not like those corporate fat cats that refuse to answer questions or doesn't comment about rumors or whatever. Thank you for answering my questions and I am glad Cryamore is truly coming to life. I hope you guys/girls come up with some ideas to do some neat stuff with the Wii U GamePad and I know it's too early to ask about these things but I simply can't control my excitement for this! I honestly think Cryamore will have the "Off TV Play" functionality since Nintendo is actually pushing for more developers to add the "Off TV Play" feature where players can enjoy playing Cryamore on the Wii U GamePad Controller while the TV is off or someone else is watching something on TV like the Cryamore Animated series! Yes, you will be able to state in the survey they will send later that you pledged for an additionnal digital copy (and state the platforms you want for each of them). You will be able to state on which platform you want to get your digital download with your $15 pledge. I do remember them saying that they would check what they can do with the WiiU GamePad, but I don't remember anything really specific. And for 6, they will probably publish intermediate build to try out the development progress like they shown us some time ago, using the Unity Webplayer (where you could try the prototype so far in your web browser (if you have installed the Unity webplayer plugin)). Just saw that you made the final goal. Congratulations, guys! I can't wait to play this awesome game on the Wii U! I hope this question makes it in time to add more to my pledge if it's necessary. I was just wanting to clarify that if my original $15 pledge would qualify for a console download since the support has been reached for that or if I would have to pre-order another copy in order to have a copy for my WiiU. I hope to hear back soon or hopefully stumble across the answer that I may have missed. Thank you. keep up the excellent work and once again, CONGRATULATIONS!!!!!!!!! totally looking forward to the soundtrack! Since I assume the soundtrack will be released before the game is released, cheers! 3. Like it is actually stated in the other update you post on : yes, on the Pianist's pledge you get the digital copy of the soundtrack AND the physical copy. 2. & 4. They are using the Unity engine, which is already supporting the WiiU, PS3 and xbox360 consoles. Thus, it is much "easier" to port them on these consoles than on the portable devices like the 3DS or the PSP Vita which are not supported by Unity. 5. Quoted from the home page : "Funding past our highest stretch goal will go towards more assistance and getting the game out to more people's hands!" 1. Now that the goal has reached console status, will there be anything unique or exclusive for the Nintendo Wii U version since gamers use the Nintendo Wii U GamePad? Such as being able to equip/change on the fly using GamePad or playing the game on the GamePad while someone else watches a movie on TV? 2. Is there a way to convince the negative kickstarter haters that honestly believe you guys are only adding Nintendo Wii U support to raise more money because they think you guys are going to cancel it for the Nintendo Wii U when the game is getting near to the release date? 3. For the pledgers that pledge $50 for physical copies of the soundtrack game, will it also include a digital code to download the soundtrack digitally? I myself would like to keep my physical soundtrack copy un-opened since it will become a collector's item! Or is there a way we can purchase the digital soundtrack and not have to open the physical disc copy of the soundtrack? 4. How come the Nintendo 3DS was left out of the console 225k goal? Is it harder to develop for or does it cost more money to submit it to Nintendo? I think Cryamore would sell pretty darn well if it was released on the Nintendo 3DS e-shop! I noticed nearly every single RPG game that was sold on the e-shop or DSi-Ware shop have sold hundreds/thousands of copies or more. 5. What will the extra funds be used for since the goal has reached 231k and still climbing? Adding more gameplay stuff? More songs? More bosses? More secrets? New Game+? More time to polish? 6. Will the Cryamore game go into a QA testing phase where backers could possibly test the game and report bugs and feedback before Cryamore is officially released for cell phones/consoles/etc? 7. Why is Cryamore so awesome? thank you!!!! and CONGRATULATIONS!!!! 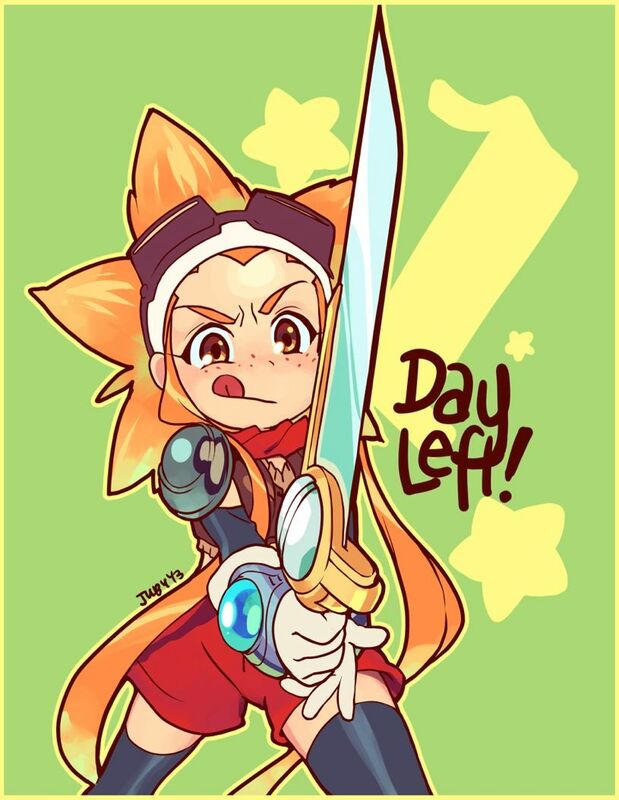 You have no idea how excited I am for Cryamore reaching the 225k goal because I honestly didn't believe it would reach that goal! this is killing me, i can't watch the party 'till i get to my Desktop. by the time i get there, pretty sure it'll be hangover time. here's to hoping the whole show is put up on Youtube or wherever later. anyway, it still awesome to see this thing climb even after the last goal. game's gonna come out real polished now. congratulations to the whole team! Last stretch goal is met! Yessh! WOOOOOT!!! We got the last stretch goal!